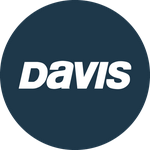 Davis Instruments Support, FAQs and Troubleshooting - How can I use Shelters and Solar Power Kits? All Categories ​>​ FAQ ​>​ Vantage Pro2 ​>​ How can I use Shelters and Solar Power Kits? How can I use Shelters and Solar Power Kits?